Whether you have pets that you want to keep safe while outdoors or you need some privacy from your neighbors, Action Fence provides a variety of residential fencing. Ensure that your commercial or industrial property is secure. 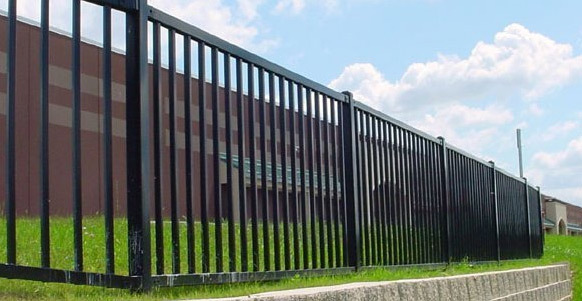 Action Fence provides many options security. Please contact us for a free estimate. Their crew does a very clean, and really sharp looking fence. The materials they use were top notch and the attention to detail was there. From top to bottom very pleased with their work, fit my budget perfectly, and everyone was easy to communicate with. Will be telling my neighbors to use them when their fences need attention. I had 2 fences installed on 2 different residential properties. The salesman that came out to quote listened to my needs and shared his ideas. Both fences were expertly installed and care was taken to clean up when they completed the jobs. I would highly recommend Action to all. They were 1st company to provide quote. (A few companies never even replied!) Lowest cost isn't the most important thing to me - I also want high quality and good service. They not only had the lowest cost (compared to at least 2 other companies) they were able to complete the job in about 2 weeks after quote requested. The fence was installed quickly and done well. They offer steel posts and treated lumber. I recommend using both. I was very impressed with Action Fence. I called three fence installers and Dan Lawson from Action Fence was the first person to call me back and to show up for an estimate. Not only was Dan punctual, personable, and professional, but the quote he gave me was about $800 cheaper than the two other competitors! The fence was installed within 2 weeks of placing my order. The installers were also punctual and personable and did a great job. They installed the entire 150 foot fence and 2 gates within about 5 hours! The job looks great! Now I just have to wait a month and get the fence stained :). Very quick response to request for estimate. I had to delay work because I needed time to clear away bushes and other growth in work area. They were very accommodating in re-scheduling work. During the actual installation, both employees worked very hard to get the job done in a timely fashion. I'm very satisfied with the quality and appearance of the fence. 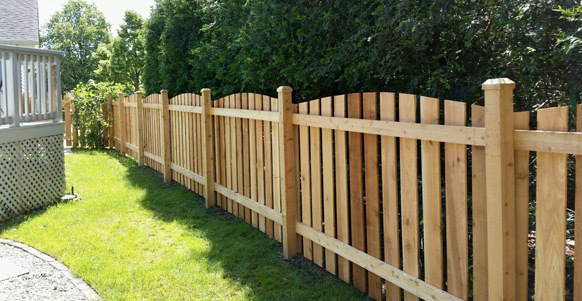 Since 1975, local, family owned and operated Action Fence has provided outstanding custom fence installations in the Illinois and Wisconsin areas. All of our employees have to pass a strict background check prior to working with us, so you can rest assured that you will receive top-quality service from our fully certified and insured staff.